This is an active participatory lab. Naked feet and dance attire are mandatory. Participants must be ready to step into something challenging. You will perform to digital rhythm to shape your understanding (physiological dimension of mental postures). This is not one of gismos and widgets, rather collective thought and action enlivened by a critical desire. Navigator and pioneer, Ran Hyman (Jamaica) (PhD Candidate, Simon Fraser University, Canada) will guide your experience of this new and boldly unique digital dance formula AFOTEK. 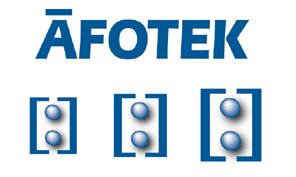 formula AFOTEK is deep understanding of the mechanisation of sophisticate [tekhno] rhythm. For Ran, all life is grounded on rhythms; good and bad character, grace and gracelessness-- are associated with good and bad rhythm, essentially [tekhno] rhythm.